412 m2 / 1 Ngan 3 Sq.W. House for rent in Pratumnak - Majestic Residence. Corner House for Sale or Rent in Wongamat. Pattaya Hill 1 House for sale and for rent in East Pattaya, Pattaya. SRH10443. 592 m2 / 1 Ngan 48 Sq.W. House for rent in East Pattaya- Baan Pattaya 5. House for rent in Pratumnak. Luxurious Villa with breathtaking views. House for rent in Soi Siam Country Club. Private House At Toong Klom Tan Mal House for rent in East Pattaya, Pattaya. RH11319. Private House Soi Ton Son House for sale and for rent in East Pattaya, Pattaya. SRH11328. 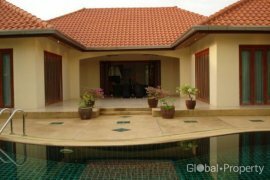 House for rent or sale in Jomtien - Palm Oasis Villa Jomtien. 70 m2 / 17.5 Sq.W. Siam Lake View House for rent in East Pattaya, Pattaya. RH5257. 420 m2 / 1 Ngan 5 Sq.W. Hello, Please contact me, I am interested in houses for Rent in Pattaya. Best Regards. Looking for a Pattaya house for sale? This website offers the biggest selection of houses to buy. Houses in Pattaya often come with a garden and pool and offer the perfect background to escape the hustle and bustle of the city. There are many houses in Pattaya for sale and with Thailand-property.com you can find exactly what you are looking for quickly and easily. By selecting your preferred area, number of bedrooms and price range you will be able find an up-to-date list from Pattaya's best real estate agents. To make sure you are the first to know about new Pattaya houses, use our 'Get Property Alert' tool to set up property alerts for houses for sale in Pattaya tailored to your needs. When new listings for houses that suit your criteria become available we will immediately send you an email notification. Its never been easier to find the right house in Pattaya for sale! Thailand Property is Thailand’s leading online real estate rental resource, listing 3,588 affordable houses for rent in Pattaya. Save this search to receive emails when new houses for rent are listed in Pattaya. Rental properties in Pattaya are provided by Thailand’s top real estate professionals and private home owners. The average houses in Pattaya rental asking price was ฿ 54,846 on 1 Apr 2019 and the average size was 305.7 square meters with 3.3 bedrooms. Agents such as Supreme Real Estate Co., Ltd, Accom Asia Co.,Ltd and RE/MAX CondoDee can also help you speed up your houses search in Pattaya. You can also create your own rental listing by uploading your houses for rent for free in two easy steps - signing in and creating a property ad. In addition to rentals in Pattaya. Thailand Property also provides houses for sale in Pattaya should you like to compare availability.